Within Zoho CRM, there are many different modules, including a Dashboard module. But what is a dashboard? A dashboard, in Zoho terms, is a “pictorial representation of custom reports, which gives a real-time snapshot of your organization’s key metrics.” Dashboards are widely used in the business world today, and knowing how to properly organize and navigate them is essential. They can help companies visualize their sales trends, inventory, marketing efforts, and so forth. 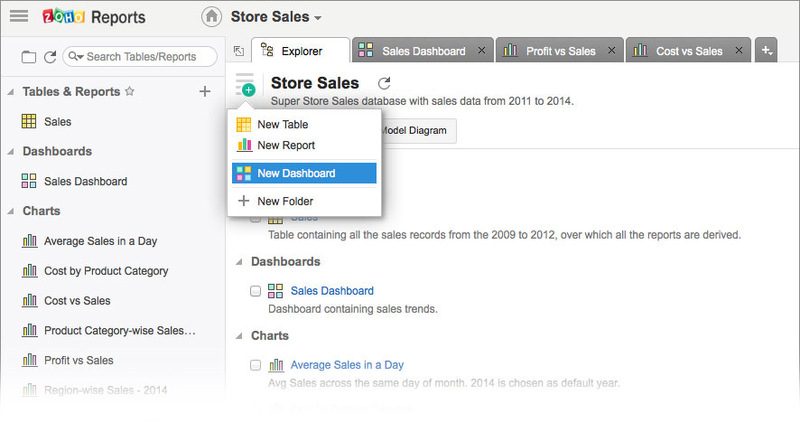 The dashboard module is where users can go in and create multiple different dashboards based on their preferences. Here, users can also create 2D or 3D charts, called components. Small features like this help make a dashboard more appealing and easier to read. Before setting up a dashboard, the first step is to make sure you have a folder to put it in. Once a dashboard is created, it can be stored in a public folder where all users within the organization can view it, or placed in a private folder with limited access based on the rules and permissions for the folder. We will be going through a quick tutorial on how to setup a dashboard. 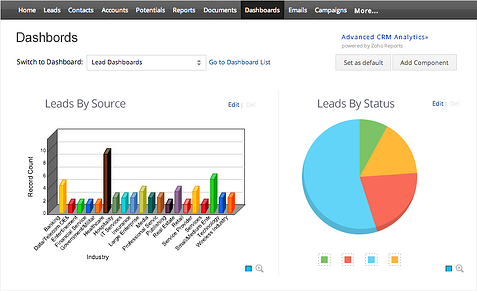 Once within Zoho CRM, go to the Dashboards tab on the module bar. In the dashboards module, there is a link named “Go to Dashboard List.” This link will take you to a page with all of your folders and the dashboards within each. 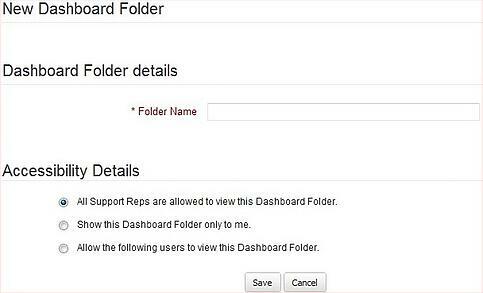 From this page, you can click on “Create New Dashboard Folder” in order to create a new folder. When filling out the information for a new folder, you can set the accessibility rules for the folder. Once the new dashboard page is pulled up, enter the desired name for the dashboard, select the folder that you want to store the dashboard in, and then enter the description for the dashboard. Click “Save” to create the dashboard. Creating the dashboard does not mean that the data has been added to the dashboard. In order for the dashboard to show the data that you want to see, you need to add components to it. In the “Add Component” page, select either a chart or a table view. The next step is to specify a component name, and then select the report you would like to see. After specifying the details for the component, select “Next.” The next page you will be taken to will differ based on the component type. If you wanted the component to be a chart (e.g., bar graph, pie chart, etc. ), then you will be taken to a page where you will have to select what type of chart you would like to see. If you wanted the component to be a table, the next page will ask you to specify column details for the table, such as what columns you would like to see or keep hidden. Most of the time, users generally like to use a chart for a component type, as this is the best way to get a pictorial look on a report. After the details have been specified, simply select “Finish,” and voila! Your dashboard has been created. Quick and simple. 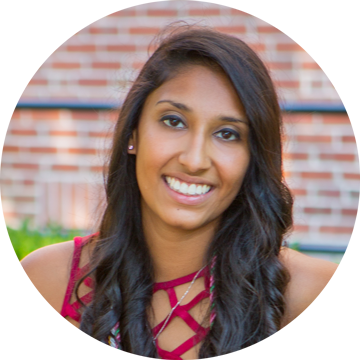 Read this blog post if you've still got questions about how to choose a CRM and get the best use out of it.